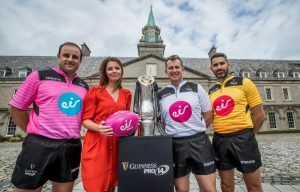 eir sport have announced that its first broadcast from the Guinness PRO14 season will be made Free To Air to celebrate the channel becoming the NEW home of rugby in Ireland. Fans can watch Leinster’s visit to the Cardiff Blues in high definition on eir sport 1 without a subscription, while the game will also be available on eir sport’s Facebook and Twitter pages. On the first weekend alone, five games from Round 1 will be broadcast live including home games for Connacht (v Glasgow Warriors), Ulster (v Scarlets) and Munster (v Toyota Cheetahs). Back in May eir sport announced a ground-breaking deal with the Guinness PRO14 to broadcast every game for the next three seasons, while just last week the presentation team fronted by Tommy Bowe was revealed. Bowe heads a stellar panel of experts including former internationals, Luke Fitzgerald, Donncha O’Callaghan and Mary Louise ‘Maz’ Reilly along with The42.ie rugby journalist, Murray Kinsella. The eir sport commentary team will be made up of Conor Morris and Liam Toland. Maz Reilly will act as the pitch side reporter for all Leinster and Munster home fixtures and Murray Kinsella will be the main presenter of a Guinness PRO14 weekly highlights magazine show which will review and preview each round of games. Fans can look forward to over 30 hours of Guinness PRO14 programming every week throughout the season. 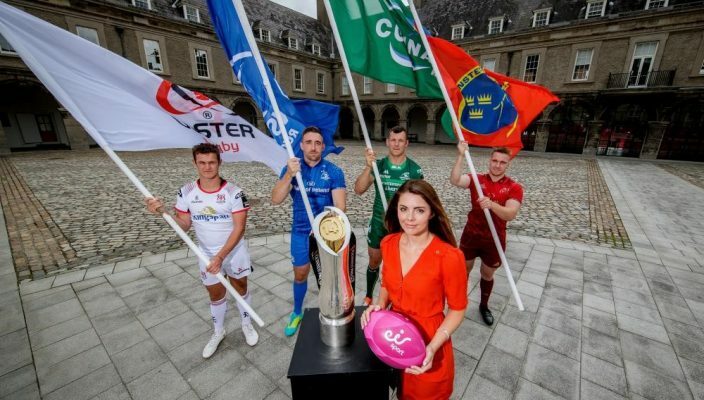 Martin Anayi, CEO of PRO14 Rugby, said: “Today’s announcement by eir sport that they will screen the opening night clash of our two European champions Cardiff Blues and Leinster Rugby, free to air in the Republic of Ireland is great news. By broadcasting on social media, it sits perfectly with the mission of eir sport and PRO14 Rugby to be innovative in how we engage with a younger, wider audience who choose to consume their sport across all devices using apps such the eir sport app.